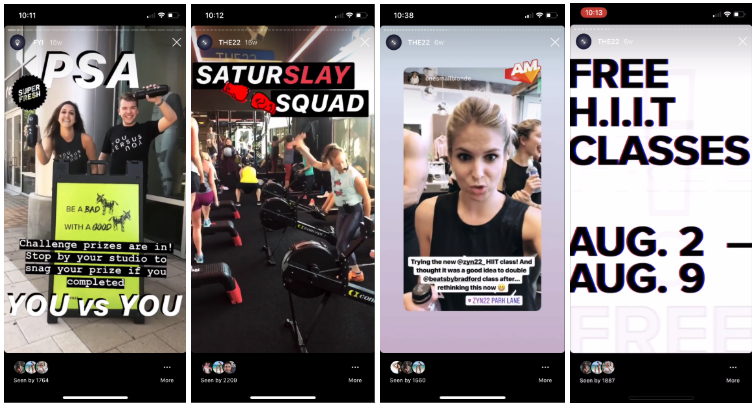 If you’re wanting to know how to make Instagram stories get a lot of engagement and results. Then you’ve probably been tasked with running Instagram for your business or your client’s. Stories. That’s what everyone is doing, thank god it isn’t jumping off a bridge. After endless nights of tapping through stories, you come back to the drawing board to create yours, but what you really need to do is stop wasting your time developing content for your story and start sharing on it. 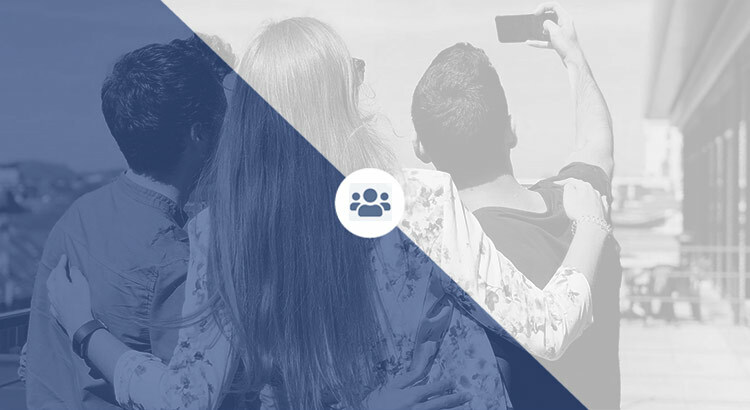 It’s time to get familiar with marketing’s favorite acronym: ‘UGC’ it stands for user generated content and it’s the solution for needing something to post and having something authentic too. Take ZYN22 as an example. 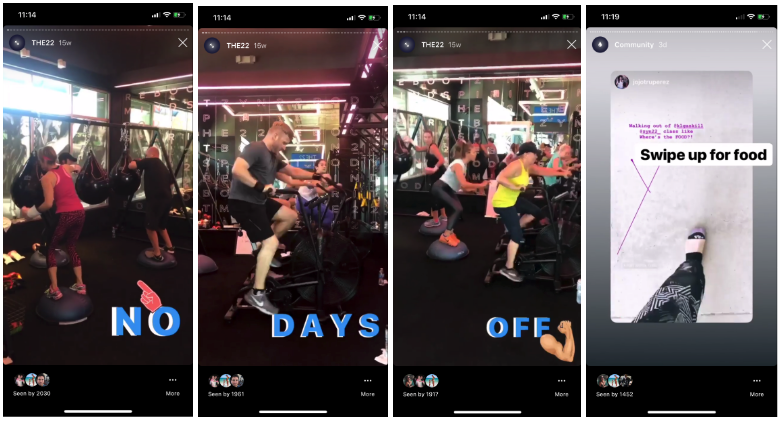 ZYN22 is an indoor cycling and circuit HIIT studio in Dallas Fort Worth. They see hundreds of happy clients walk in and out of their doors on a daily basis. Most of which are documenting their stay with a photo or a post to their story, but it wasn’t always this way. In early January, the ZYN22 Instagram story was debatably inactive. We the marketing team were occasionally blessed to get branded content linking to blog posts, playlists, and promoting sales in-studio. It was exclusively branded content, font and all. Check out a couple of posts from December 2017 and January 2018. The biggest hurdle to making their story work for them was that people weren’t used to posting about the brand. A few tags came in a week—usually days apart. 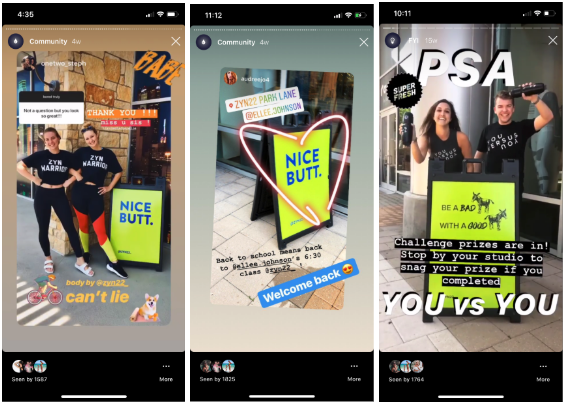 The stories can be a great place for branded content, but there’s no need to spend your whole day crafting the perfect story, and certainly no reason to limit it to branded content. Since ZYN22 has taken these 5 steps, they have gone from spending hours creating content for their story, to having a constant stream of UGC pouring into the DM’s. Which will let them get into the nitty gritty. Instagram stories don’t live long. Yes, we can put them in our highlights, but that’s only for the people we can lure to our page long enough to creep through them. After 24 hours, no one can stumble upon your content in their feed. You should still care about everything that goes up on your story, but think about the fact that tomorrow it will all be gone (buried in your highlights). But what this really means is you get to try new things out and see what happens. Worst case scenario, you can let your content die after 24 hours. Don’t get lost trying to over brand your content. We all know Instagram is meant to be visual. It is, after all, the platform that brings out everyone’s inner photographer, but this doesn’t always mean you need a high production budget. With that being said, the most important thing to remember is that people are sensitive to the way your content looks. The fonts Instagram gives you access too, their color pallets, and gif library have become incredibly familiar to their users. Using them will only help your brand seem more authentic and genuine. If someone is saying all the right things about your brand, but are clearly filming themselves on a cracked iPhone 6s, don’t be afraid to smash the “add to my story” button. This isn’t going in the grid for everyone to see for eternity, and the review is more important than the quality of the video. Let’s look back at ZYN22. Remember their branded stories? Check out what they do now. You can see how their branded content blends with the organic UGC too. ‍People like to hear from other people. This is where we really stop overthinking our content and let it happen. When you encourage your community to post you will be able to show what’s going on in your studio or store. The best part is, you’re not going through the painstaking process of dotting the i’s and crossing the t’s on every word that is being said. Instead, you are allowing people to hear it from viewers just like them. Your brand will become more relatable and people will understand that they could be featured on your brand’s stories, too. It’s a total double whammy situation, more authentic content and encouraging more people to tag you in UGC. Don’t be afraid to ask your customers to post to Instagram. It’s okay to have some shameless self promotion on your story. You are, after all, a business with a good or service that you want people to buy. Own that and encourage your customers to share their experience. “Don’t forget to like and subscribe” isn’t just for the YouTubers out there. 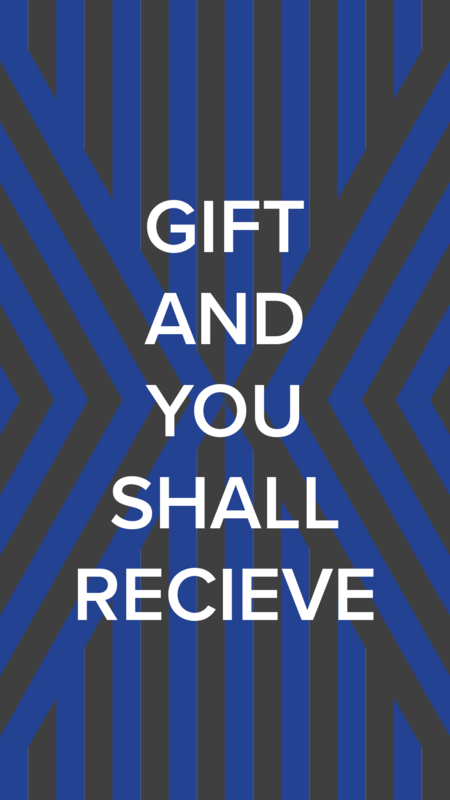 Don’t forget that how you ask for content plays a HUGE role. Are you running a hashtag giveaway? That may lead to more grid posts than you are anticipating, as people will want their post to be live long enough to win. Are you creating little ‘photo-ops’ at your store? This is one of the best ways to get people to make content for you. A selfie wall or something as simple as sandwich board sayings can really change how much content others are generating about your business. This is where the going really gets tough. When you are curating every single piece of content, it’s easy to craft a narrative to keep your viewers from tapping through all you have to say. When you’re using content made by other people it’s trickier. Your story, more often than not, will not tell one single story throughout the day. Think of your branded content as a miniseries. They will be 3-5 posts that promote something for the brand. Within these posts there will be a beginning, middle, and an end. Whether there is a literal question in your user’s content or not, what you add to the post should answer something. In ZYN22’s case, that can mean affirming someone for a killer workout, answering what they did to be so happy in the studio. Or it could be giving people the option to swipe up to book a class, answering how they can get in on the action. This way, you are keeping people engaged, and the content won’t seem to be all over the place. You can have UGC followed by an animation of your best selling product, and transition right back into UGC. Here’s the real goal, get your customers posting. Then, all that needs to be done is reposting. Not only will this save you time, but it will showcase everything people are genuinely saying about your brand. Seriously, it’s far easier to come up with an on-brand response to something that someone else has said about your product or service, then to make it up from scratch. It’s kind of like stepping into an elevator. No one really has a problem responding to the weirdo asking personal questions like, “hey, how is your day?” or “what floor?” but being that person is a whole other story. Take advantage of the fact that someone has already started the conversation for you. Whether you are hesitant to let your story become over run by reviews filmed on the front facing camera of an iPhone 6s, nervous about losing followers by posting twice as often, or feeling like you have no control over what story you are telling—don’t be. UGC will be one of the best tools in your marketing strategy.